VALDOSTA — Valdosta State University is one of the Best Online Schools in Georgia for 2015-2016, according to Accredited Schools Online. To determine its rankings, Accredited Schools Online analyzed data from hundreds of institutions of higher education across the nation with online degrees at the bachelor’s level. Its goal was to determine which colleges and universities offer the most notable balances of academic rigor, student support, and affordability for online learning. 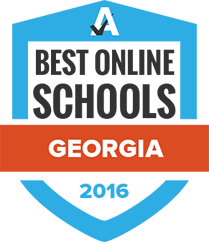 A total of 24 colleges and universities made the final cut for the Best Online Schools in Georgia for 2015-2016 rankings. VSU came in at No. 17 overall and also received accolades for being among the Best for Women in Technology (schools for women interested in technology or engineering) and Best Schools Fighting for Families (schools for students interested in social work). VSU offers more than 40 bachelor’s, master’s, and doctoral degrees; endorsements; certificates; and minors online. Accredited Schools Online was founded in 2011 to provide quality data and information about pursuing an affordable, quality education. Its free community resource materials and tools span topics such as financial aid and college savings, opportunities for veterans and people with disabilities, and online learning resources. It features higher education institutions that have developed online learning environments that include highly trained faculty, new technology and resources, and online support services to help students achieve educational and career success.